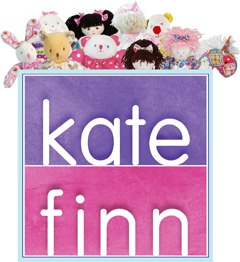 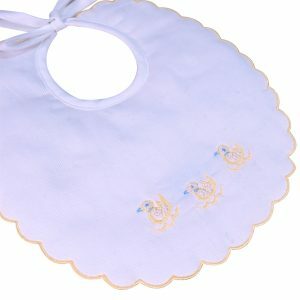 Kate Finn’s Baby Bib Rose Ring is delicately hand embroidered on cotton pique. 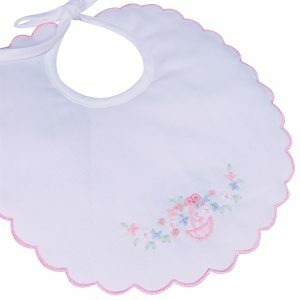 Pretty pink grub roses and pale green chain stitch leaves surround a pale pink trapunto bow. 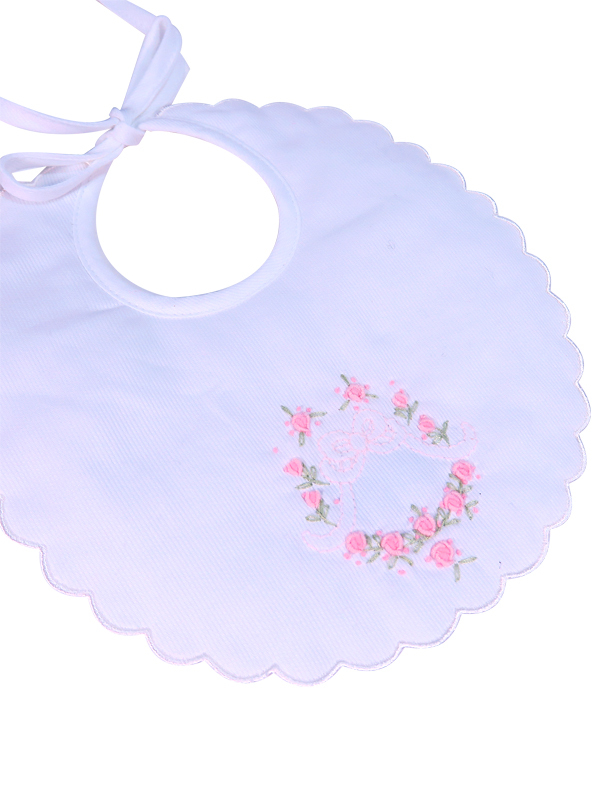 A white embroidered scalloped edge completes this very pretty baby bib rose ring design.